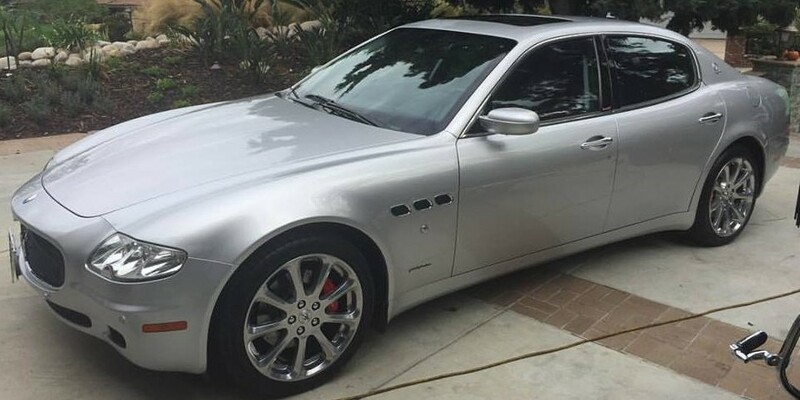 Welcome to DetailXPerts of North Los Angeles! 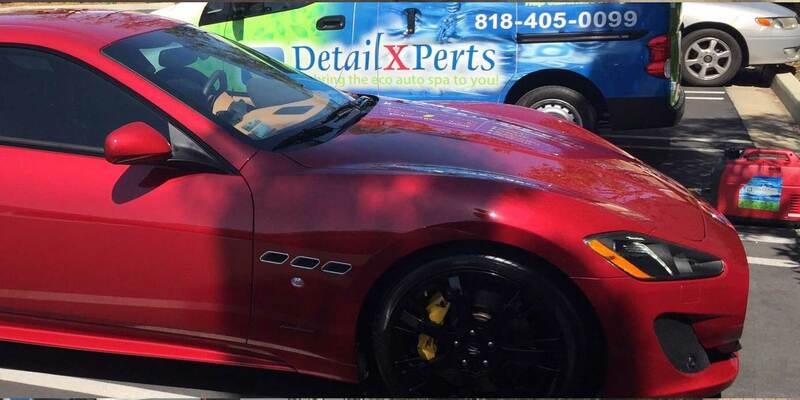 DetailXPerts of North Los Angeles California is the world's first mobile auto detailing franchise that uses steam for cleaning and detailing vehicles. The heat from steam "restores" the shine of your car's exterior and sanitizes the interior by killing germs and bacteria. 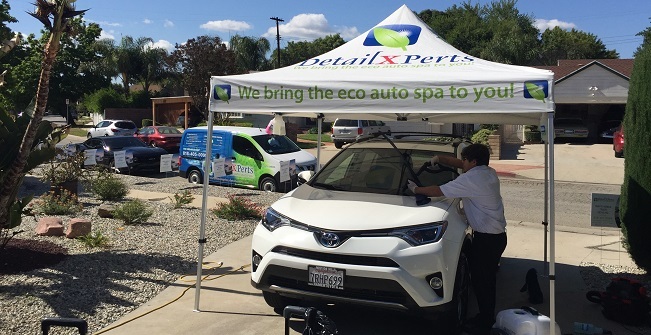 Our one-of-a-kind methodology for cleaning cars uses the least amount of water - just a pint for cleaning the average vehicle! 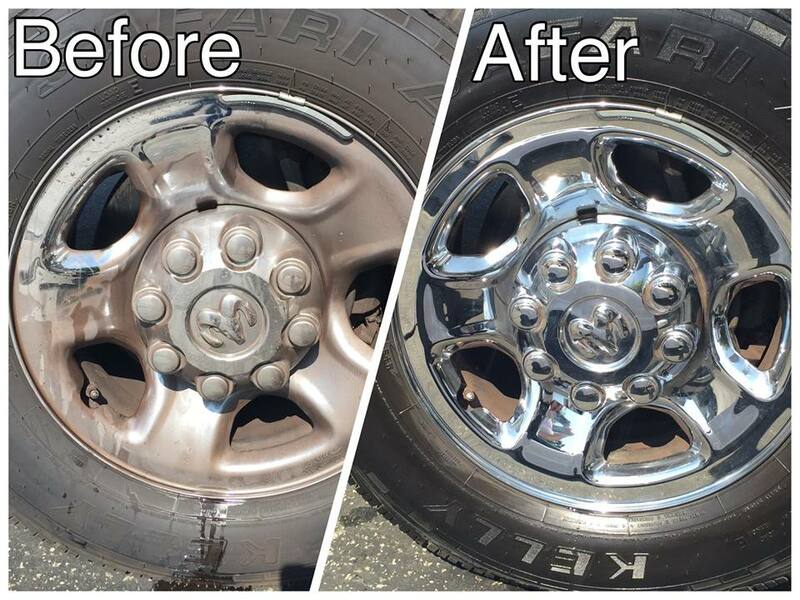 You get superior clean auto services without being guilty of aggravating the state's worsening water crisis. The best part is, we come to you saving you time and money! Call us to schedule an appointment so you don't have to worry about dropping off your car somewhere for who knows how long. Because our process is so clean and eco-friendly, there's no water run-off or chemicals on the ground when we're finished. 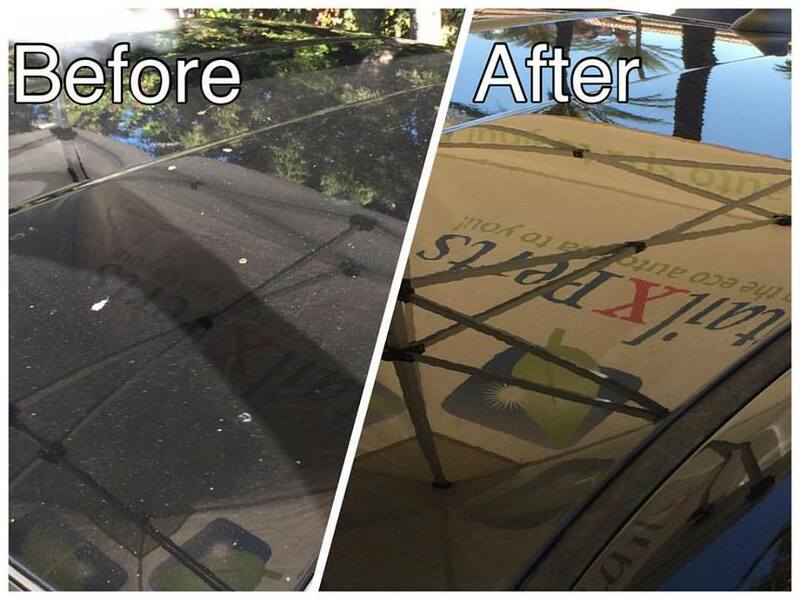 We can clean your vehicle anywhere; from a drive way, to a parking garage, even on the street. 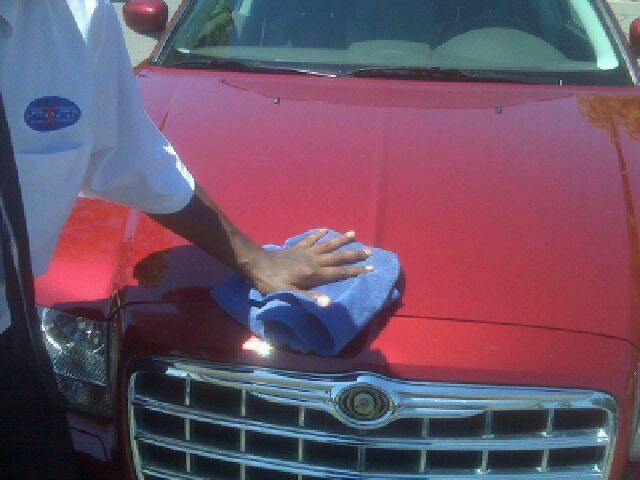 When it comes to hand car washing, we claim to be the best! 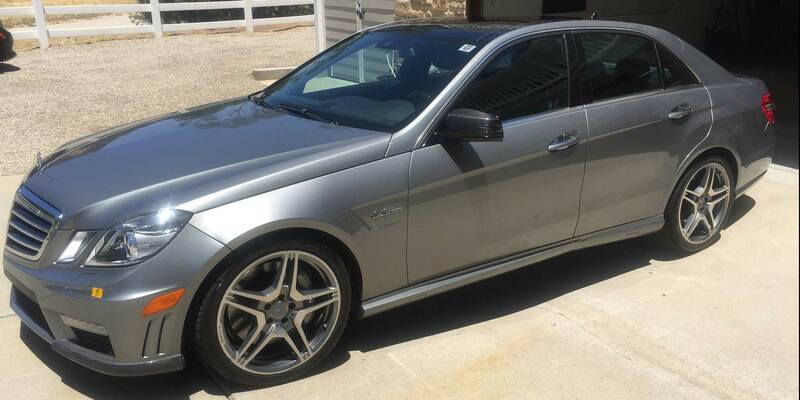 Your prized possession will get the best auto spa treatment this side of California. 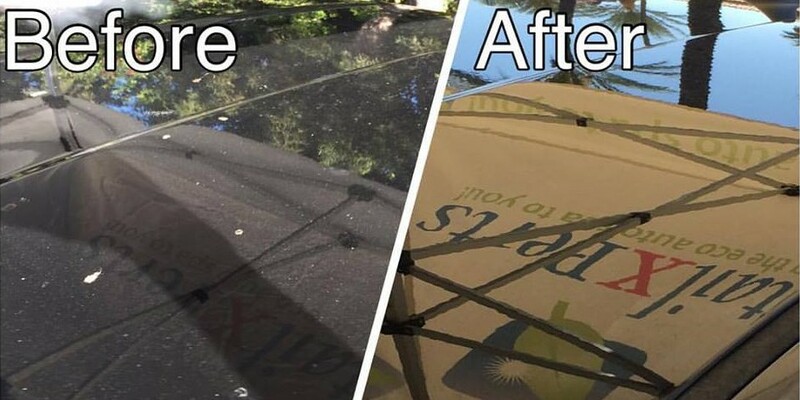 We'll hand clean your car and steam clean it from top to bottom inside and out, leaving you with a truly clean, sparkling shiny vehicle that you can be proud of. 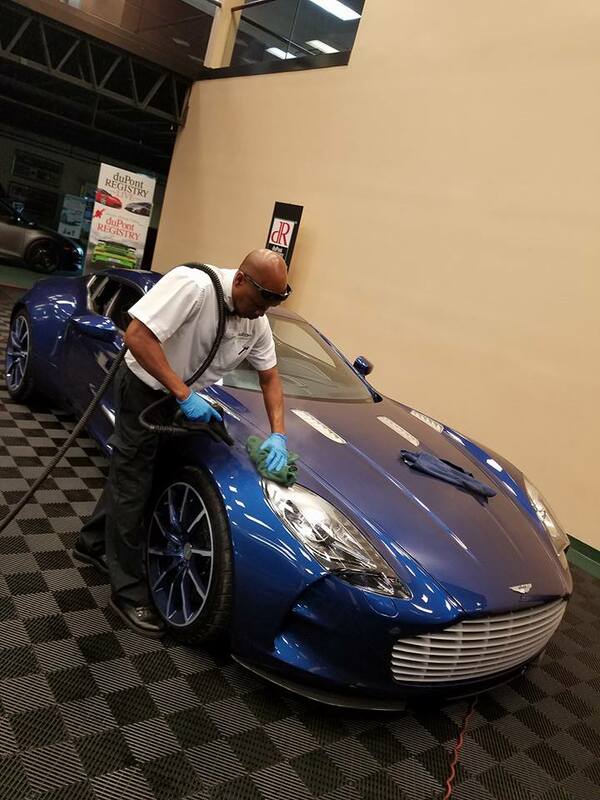 The heat from our steam detailing process helps restore the original showroom finish. 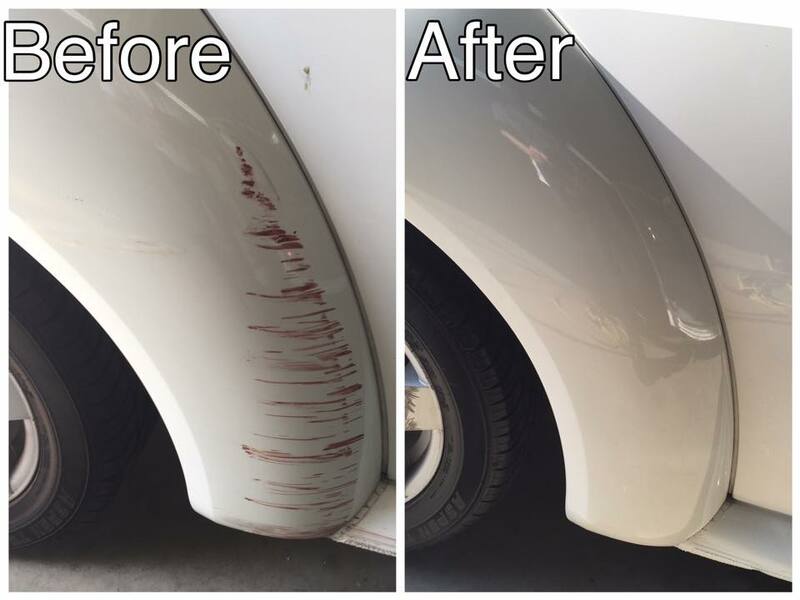 Our process cleans your car deeper and helps your vehicle stay cleaner longer. Did you know that your car's interior is 11 times dirtier than an average public toilet? It can house more than 700 types of germs, allergens and bacteria that can threaten your health and well-being. Wipe away 99% of those contaminants with our interior steam cleaning and sanitizing process! Our steam cleaners have enough power to kill those health hazards while still being gentle on vehicle surfaces. The heat from our steam sanitizes and deoderizes the interior of your car leaving it smelling fresh and making it safer for you and your family. 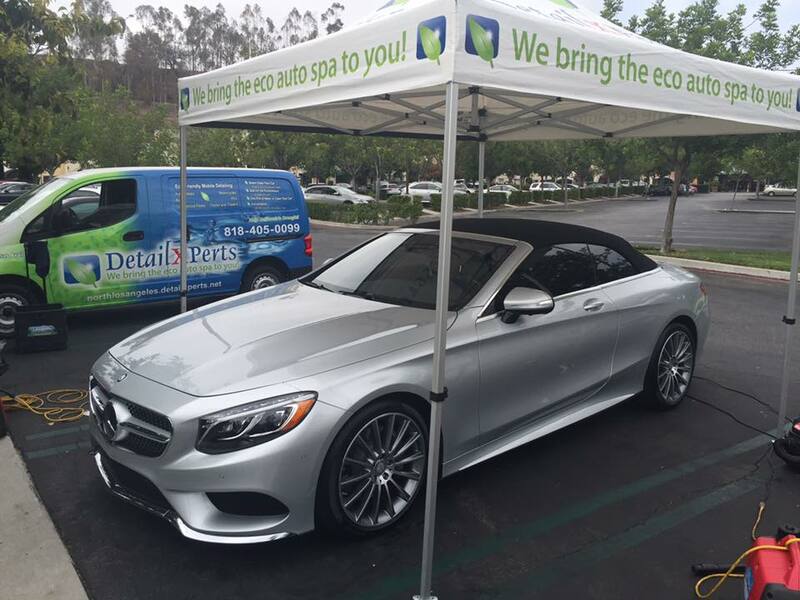 Experience what it's like to ride in a truly clean vehicle that gleams from top to bottom, inside and out. We'll take care of the gory, grimy details so you can focus more on the things you love. 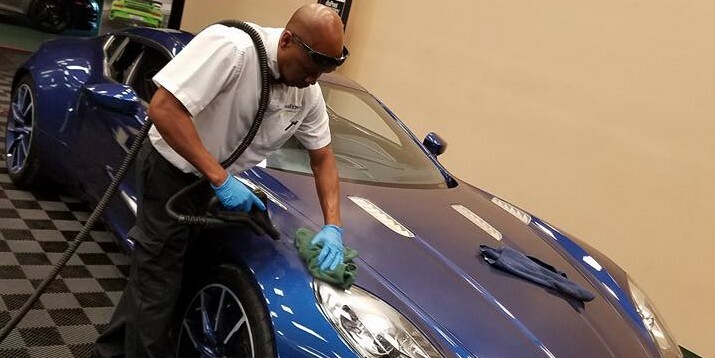 Whether you own a fleet of cabs, cars or trucks, one thing is for sure: you need sparkling shiny vehicles with squeaky-clean interiors for your employees or to keep those customers coming back for more. Busy schedules and driver availability can sometimes get in the way, right? No worries! 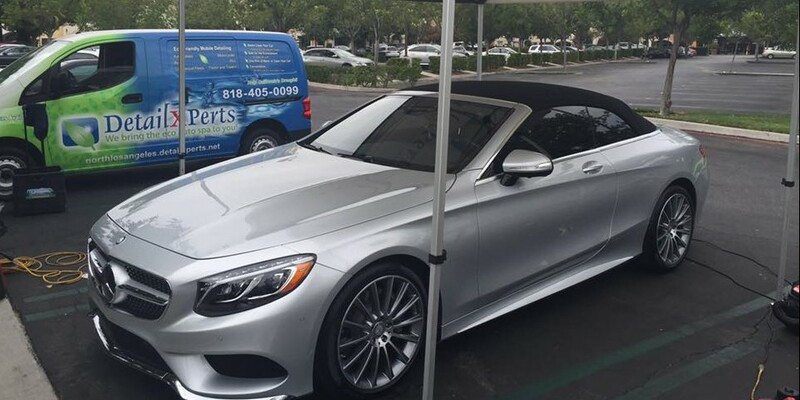 Our auto services are mobile so we can come to you when and where you want us to be so there's absolutely no need to inconvenience your drivers or employees. With virtually no water wastage, there won't be messy pools that may cause slipping accidents. 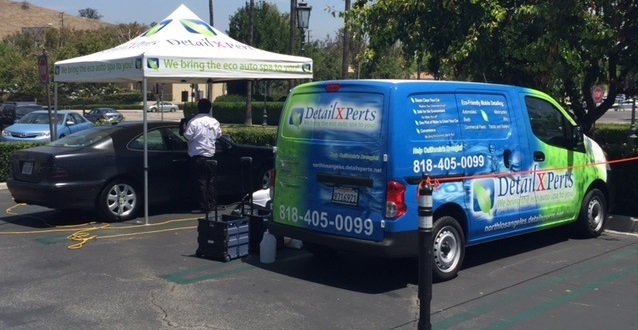 DetaiXPerts fleet washing services is truly a win-win solution! We believe that excellent service starts with values-oriented, well-trained, well-paid, uniformed technicians. You'll be greeted with a smile, asked politely for further requests or instructions and given the grand tour when we're finished. 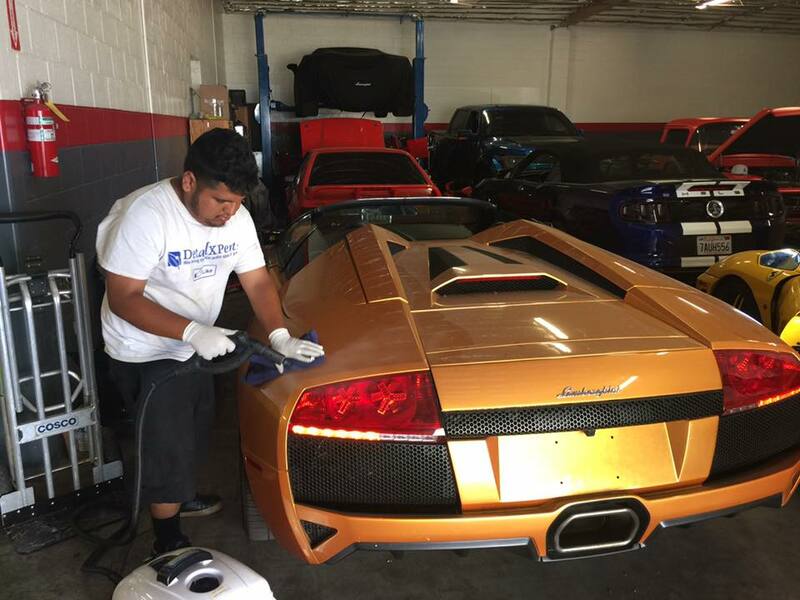 We strive to make sure you're highly satisfied with every service we perform. 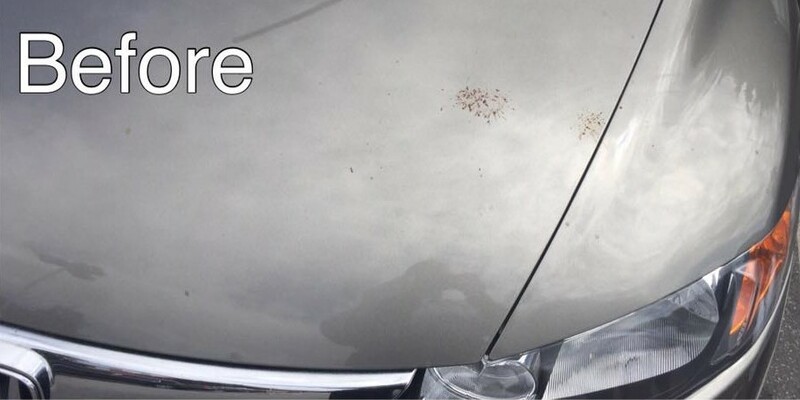 Rest assured that your car will be cleaned the DetailXPerts way all the time. View our Service Packages and Pricing Options here. Choose the package that's right for you! 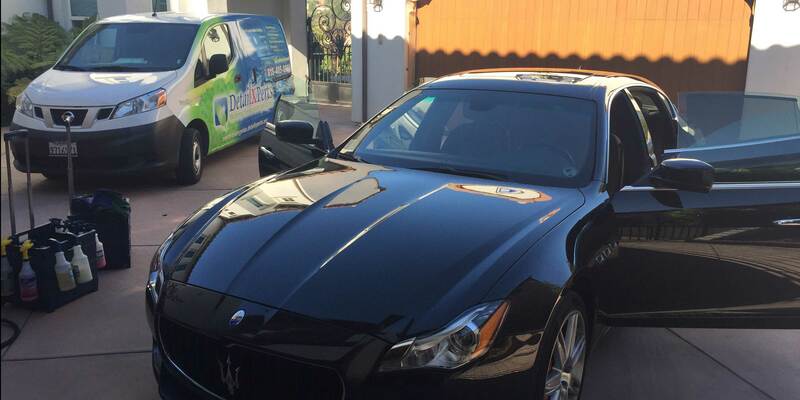 DetailXPerts of North Los Angeles - where car care is at its best. Joe did amazing work and paid great attention to detail! 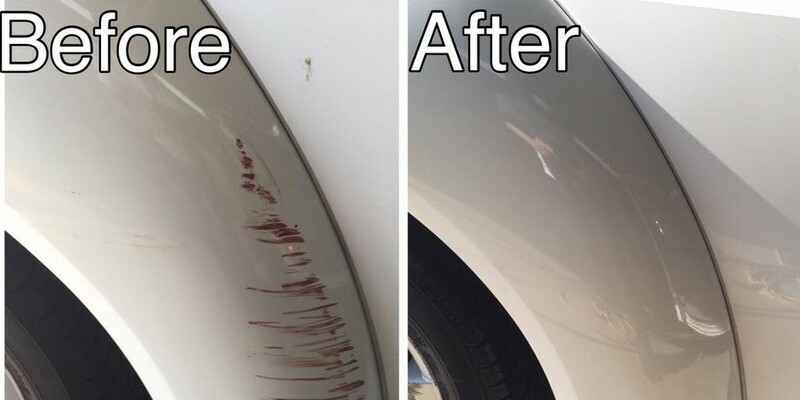 He left my car looking brand new and was even able to get a few scratches out of the exterior. He also went out of his way to accommodate my schedule, which I greatly appreciated. 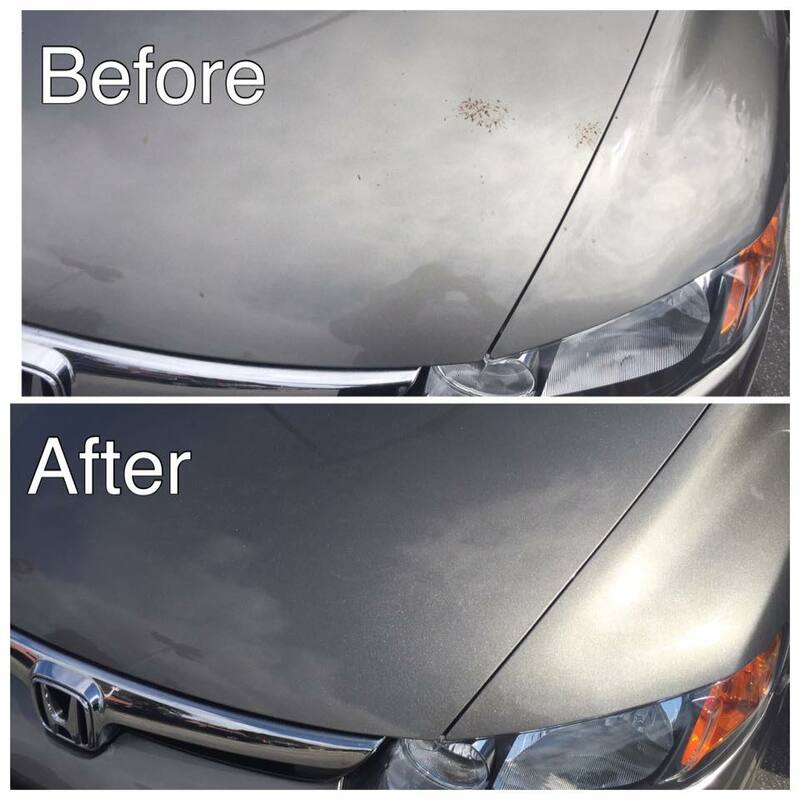 I would definitely recommend them to anyone looking for a reasonable, professional, high quality and environmentally friendly car detail. What an INCREDIBLE service!!!! They came to my office, on time and did an AMAZING JOB! Got rid of a bunch of stains on my seat and my car looks brand new! I am beyond happy with the service and would recommend it to anyone. DetailXPerts provided excellent detail work on my car. I paid Joe up front at the beginning because I felt it was ok to. 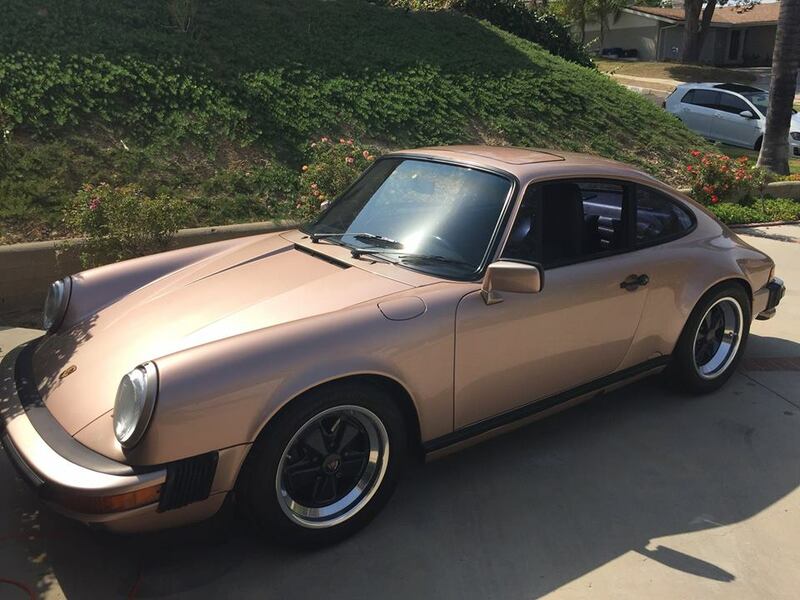 I also received a great trade in value on the car the next day. Excellent attention to detail! Joe was absolutely amazing! He came on time, as we planned. He confirmed the appointment the day before so I wouldn't forget. He didn't leave until I was completely happy! He went over some trouble spots in my carpet to make sure he got out some old food stains. 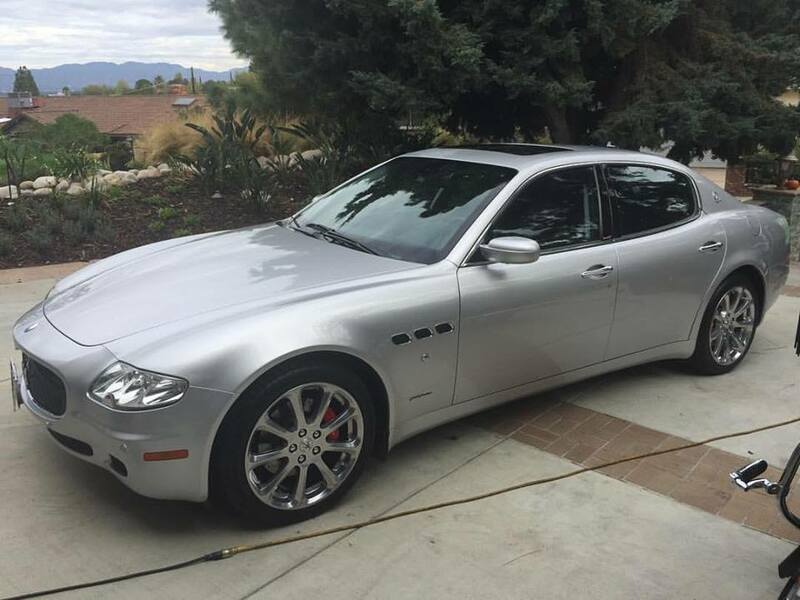 He clay barred the whole car and detailed the interior beautifully. I will be back to detail my second car. Thank you, Joe! Joe did a great job freshening up my 1993 SC300 for sale. 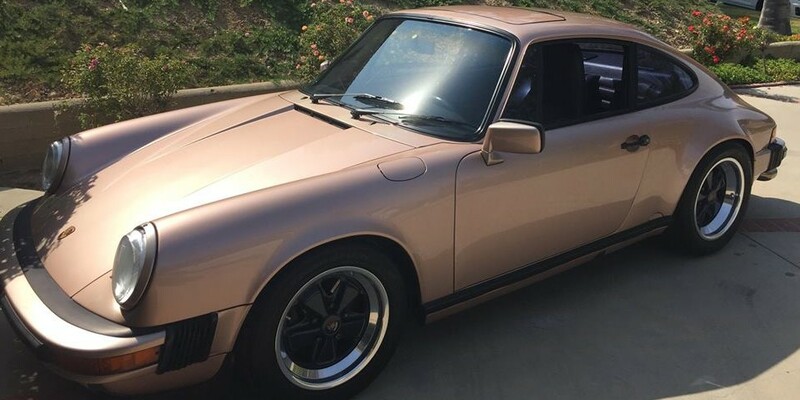 The car had been sitting for almost 6 months and Joe was able to bring it back to its former glory all for a very competitive price and while parked inside my garage, with no water wasted! 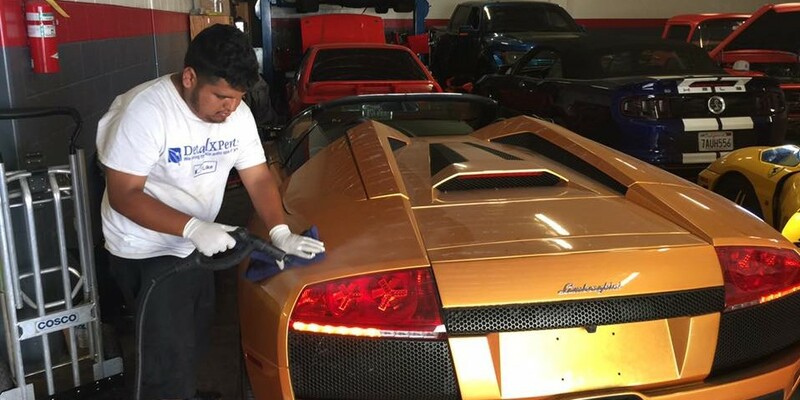 I'm converted and think steam cleaning is the future of auto detailing, I'm impressed with DetailXPerts sustainable methods and attention to detail. If I need another car detailed I'll be calling Joe for sure! I have used DetailXPerts twice about once a year. They did two of my cars this time and it looked great. One was a 2004 pick up truck with dog hair, sand, and probably sticky ketchup spills when my son was little and that was 13 years ago. They did a great job with the truck that I'd rather drive it than my newer car. I will use them again next year. They took a lot of time cleaning both cars and I know the truck was a challenge and they did a great job. Great service! Joe was very professional and excellent work! Thank you for making my "mommy" car into a clean and fresh smelling car again!!! Joe did an excellent job. 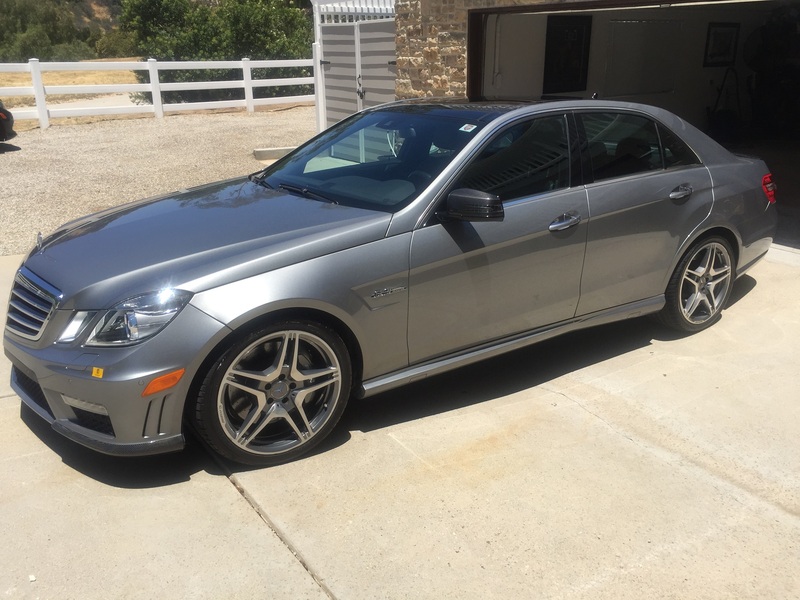 My car had never been detailed since I've owned the car (3 years). 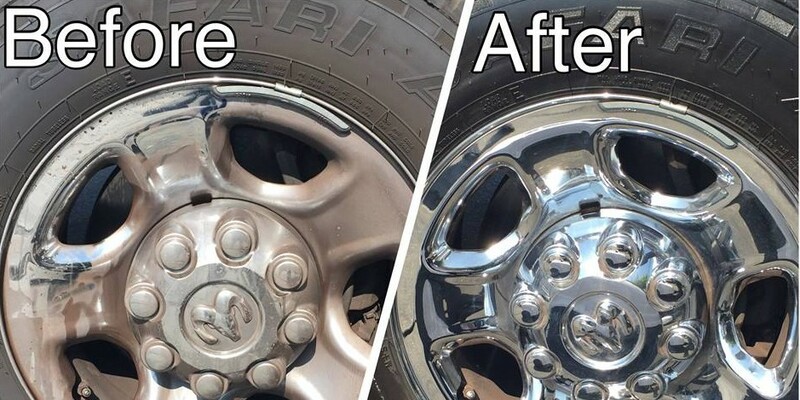 It looks brand new! Did a great job on my f150 and spent like 5 hours on it and Noah who is cool and has good taste in music rock and roll ain't no pollution, just had to add that! DetailXPerts are really genuine folks and they're really good and caring. Great job and thanks, Joe and Noah!! We had our car detailed. When I say detailed I mean it. Our car looks brand new even though we transport our pooches around in it. He took care of everything. It is shiny and new after a steam clean and a very thorough conscientious job! 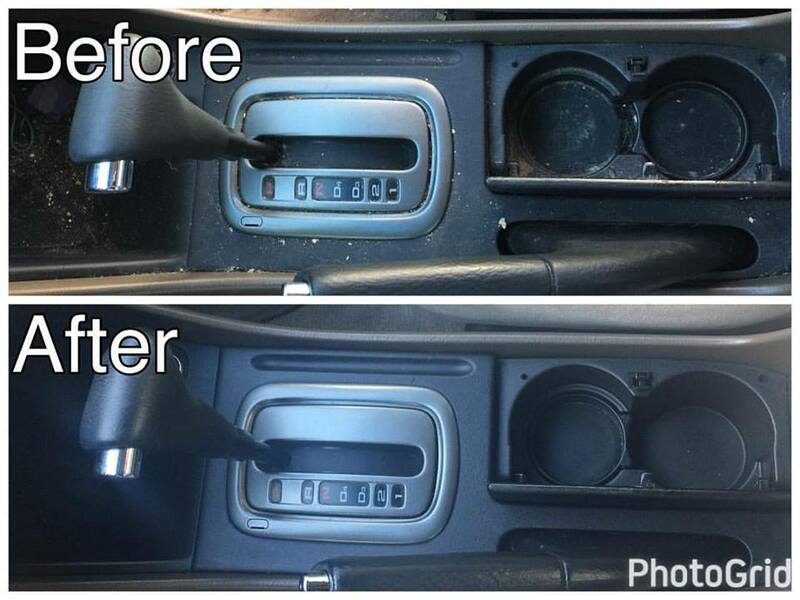 He made the interior look like it was brand new! Very professional work and very courteous. We felt he treated our car like it was his own. Highly recommended! Wow, that sums up my experience with these guys. They just launched a demo in my area and I was lucky enough to bring my SUV over to try them out. The grand opening is soon so I am planning to take my other car then. I'm a big fan of professional, courteous and great prices. Most important of all which I should have mentioned before is the patented technology used to steam clean the entire SUV. The machine only used 1 pint of water which at a conservation time like this makes me a happy camper. Joe just finished detailing my car. He spent nearly 3 hours pouring over every detail. He was nice, attentive, and genuinely cared about his work. 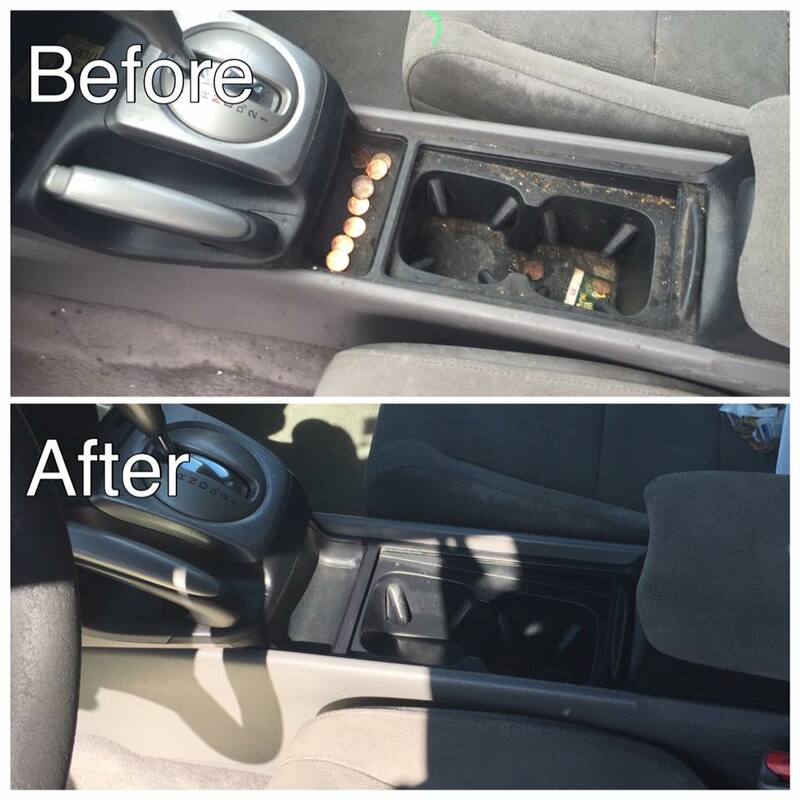 My car had some minor water damage from the winter rains that left a mildewy smell, and Joe worked tirelessly to help eliminate the odor. Really great work, nice guy. I give my highest recommendation. So happy!!! I gave Joe a call based on all these wonderful reviews and it turn out, the reviews were right! Joe showed up at my office on time and spend 4 1/2 hours making my car beautiful! I wish I took before and after pics! My Lexus was in really good shape before, just overdue for a detail. But its 200% more beautiful after! And Joe is so nice! Don't hesitate to call him and get the Presidential package! I'll be calling him in about 6 months for a refresher to keep my car beautiful! Thanks, Joe!!!!! Amazing service and did a phenomenal job! Would definitely recommend them to all of my family and friends! 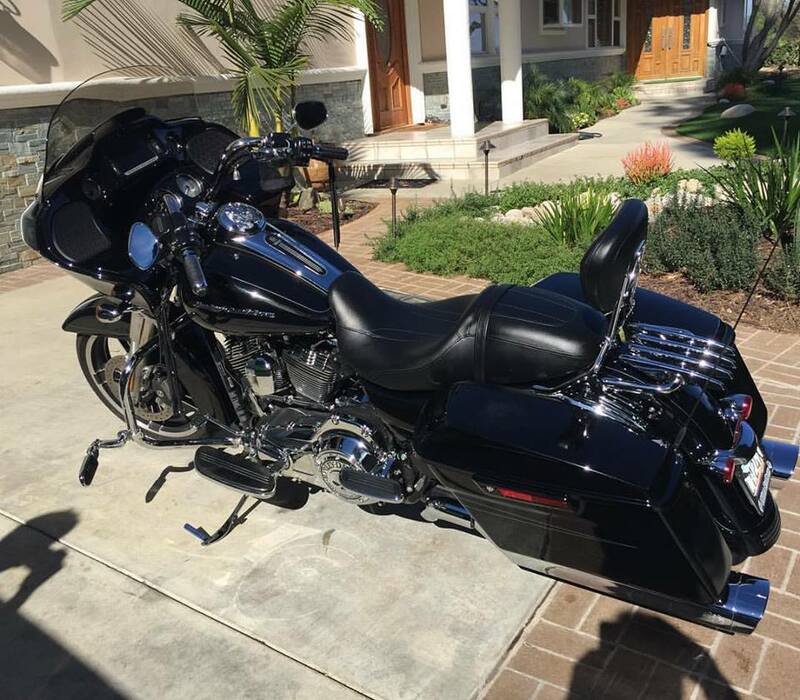 The owner is such a nice guy too. Wow!! Joe obviously takes great pride in his work. He was so meticulous working on my car. It took him almost two hours more than he originally anticipated but he didn't charge me a dime above his original quote. I bought my car from Carmax 5 years ago and can honestly say it looks better now than the day I bought it. And that's after 5 years and two little kids tearing up the back seat! I've never had a car detailed before. It always seemed like an unnecessary expense. Now I totally get it and will make a point to have it done regularly in the future. And when I do, it will be with DetailXPerts. I love that he came to us (right on time) and I didn't have to worry about dropping off the car and either waiting around for hours or arranging rides to and from the car wash. Really blown away. HIGHLY recommend!! GENIUS! (And I never use that word) Joe is THE MAN! He took my stinking, dog schlepping VW wagon I'm about to sell, and made it SHINE!! After a couple of hours I had an appointment I needed to get to, but I know Joe & his guy would have rocked it for another 30 minutes. On time, communicative and WITH IT - this world needs more like DetailXPerts! 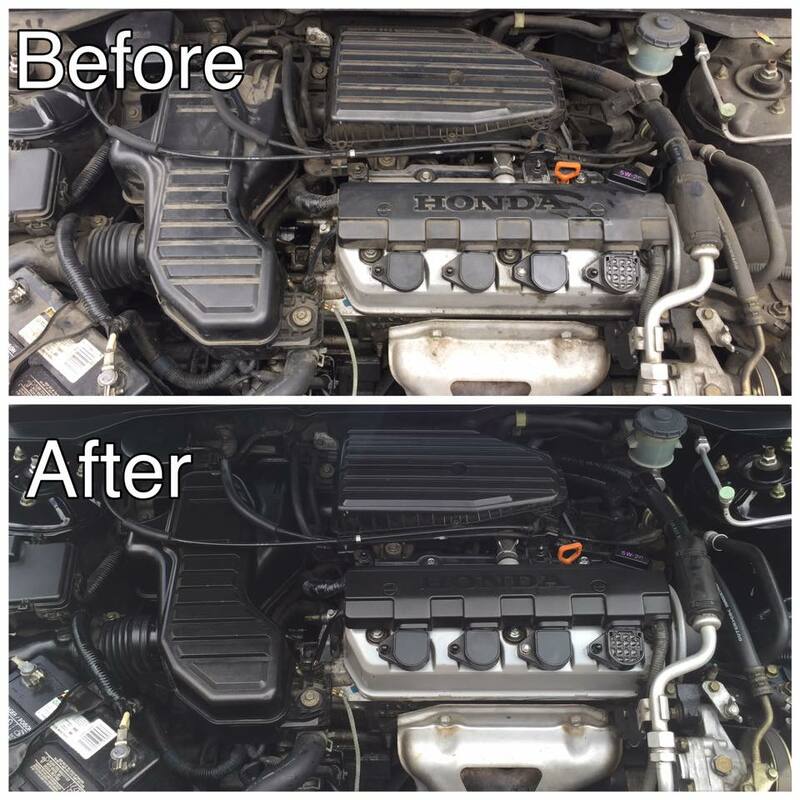 Joe gave me a great deal on detailing my Honda Civic. Very committed to great customer service and excellent with people. You can tell that he cares about his clients and their satisfaction with his work. Very professional man with a great history of strong work ethic. 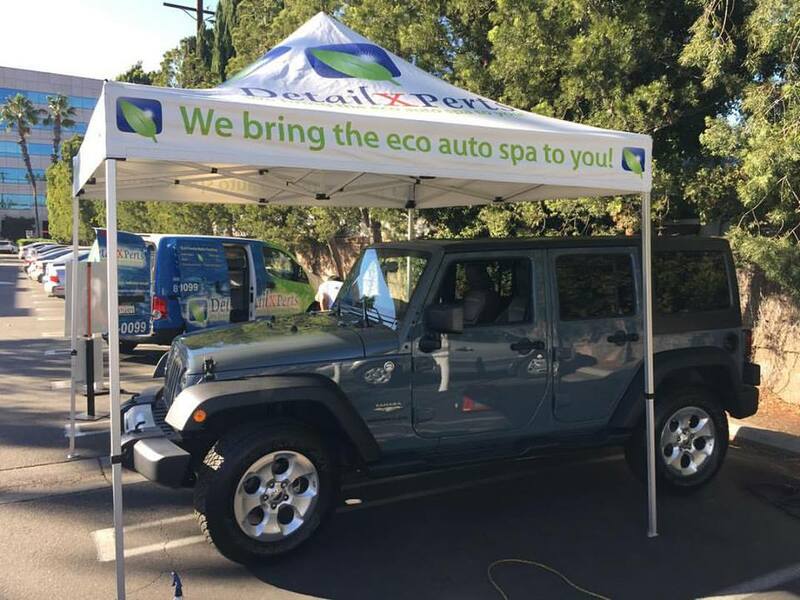 Great concept for steam cleaning, especially when considering environmental implications of other car washing services with chemicals. Low use of water, which is great for the drought in California. 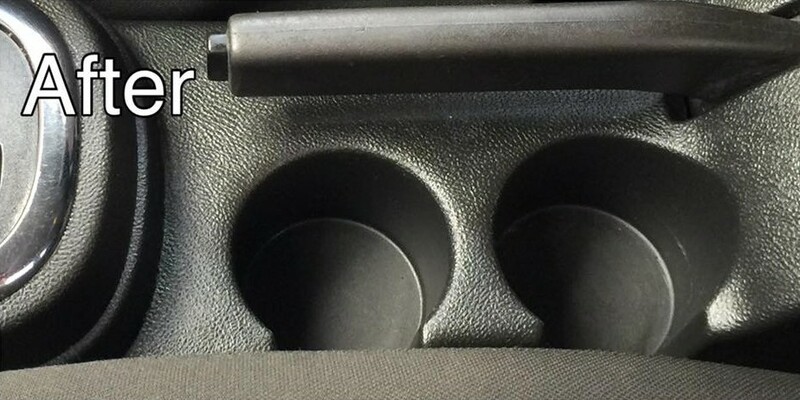 Fantastic attention to detail with every inch of the car. Plus the ventilation system is completely fresh. You will not regret having this kind of service for your vehicle, as this will last a long time. Good luck with serving the SFV community, Joe! Joe was quick to call and give me an estimate and make an appointment. They showed up on time and we're professional and courteous. I was excited by the prospect of a environmentally friendly (and drought friendly) detailing. 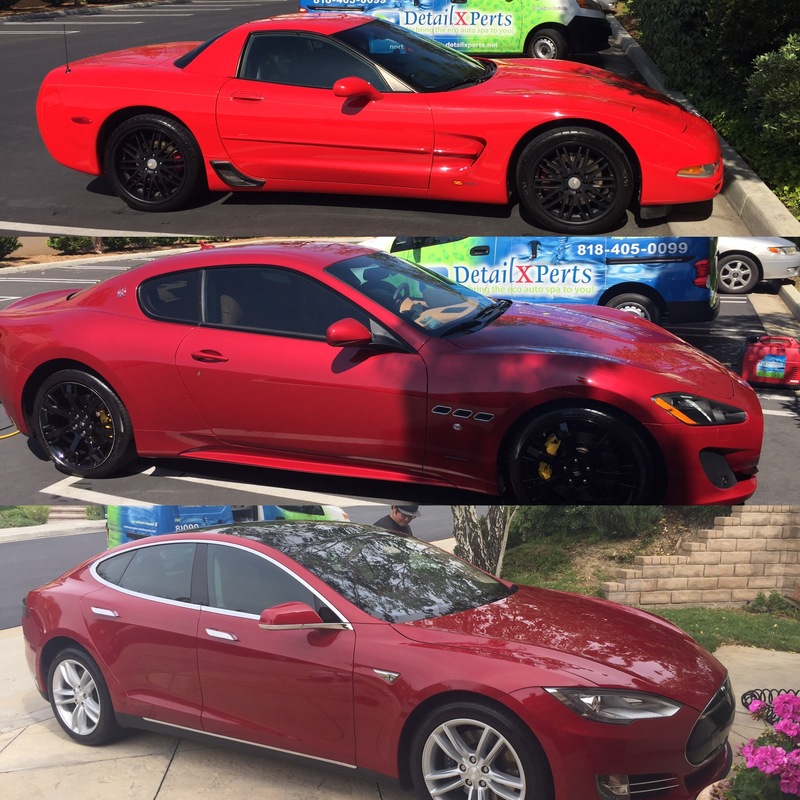 The last few times I got either a detail or just deep clean car wash I wasn't thrilled by the results but just thought it's a 7 year old car and combined with our 3 kids (2 toddlers) I figured mediocre was the best it could get. I was wrong. Joe and his team made our car look sparkling new. 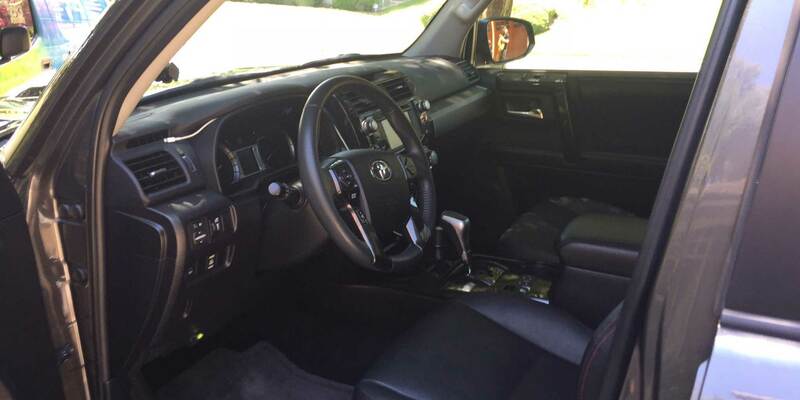 The interior is so pristine I am tempted to wrap the kids in plastic before letting them back in. 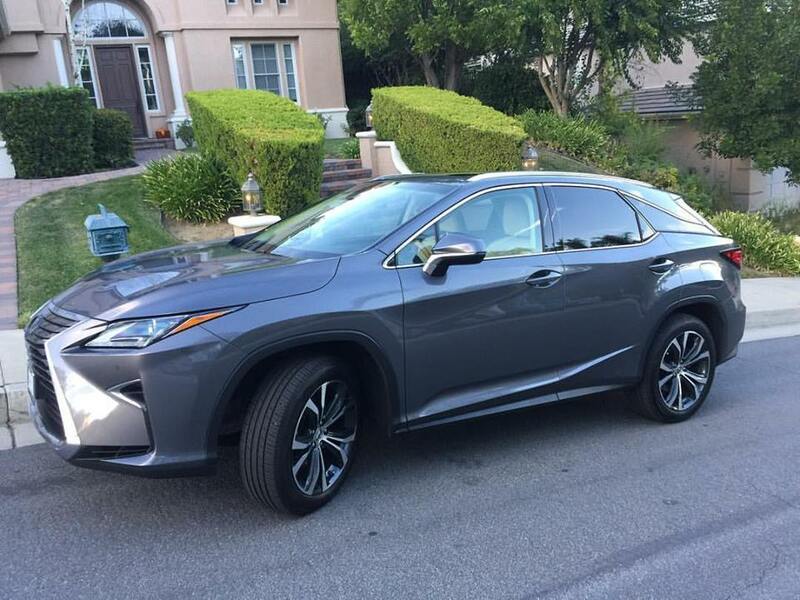 The exterior looks so good it actually looks like a different color. There should be a sixth star for when you are completely blown away. I feel so badly washing my car for a couple of reasons: 1) We're in a serious drought here in Cali & drive-thru car washes are just crazy water wasters & 2) The brushes always scratch my car & leave it looking worse than it started & just move the dirt but don't remove it. I was lucky enough to find out about the Friends & Family demo weekend & jumped at the opportunity to take my dirty, dusty & cloudy car in. I was NOT disappointed. My car is SO shiny, inside and out. 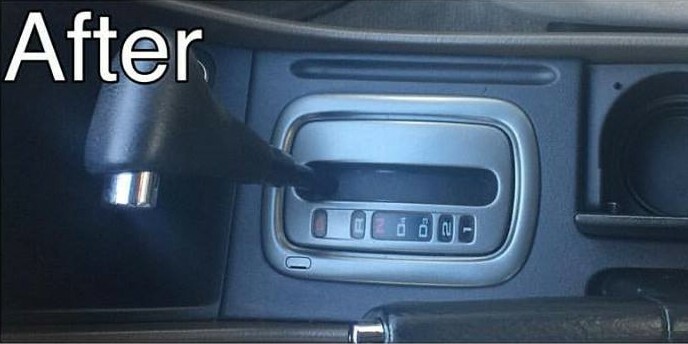 They only used about a pint of water- for MY ENTIRE VEHICLE - upholstery, windows, exterior & air conditioning vents. I promise you - my air conditioner feels cooler and even smells cleaner. This is an amazing process & it blows my mind all of that cleaning could be done with the amount of water in the bottle i was drinking. It's CRAZY! 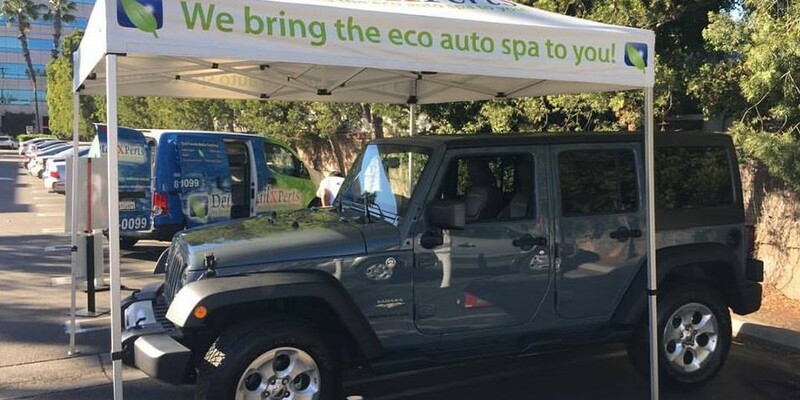 We need more businesses like this in Cali - GENUINELY eco-friendly - not just safe products - but actually helping the environment - it took such little water. Kind & friendly staff. Commitment to quality service. Keep it up, guys! 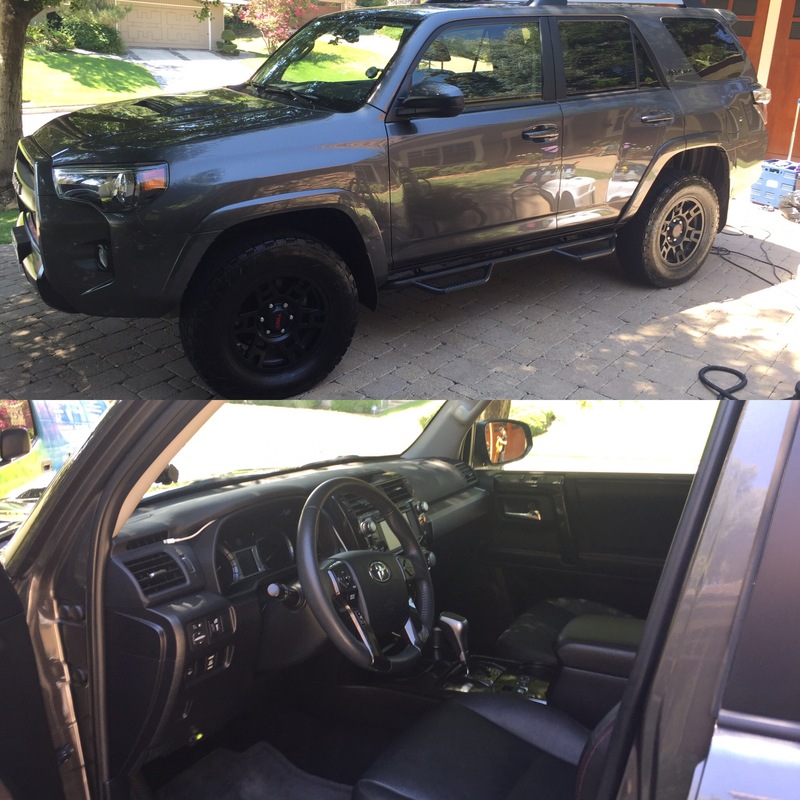 Was very impressed with the professionalism, process, and results I got with my old dirty SUV. The truck has been sitting out in the elements 24/7 for at least the last 8 years. There was oxidation on that truck that I never thought anyone would be able to get out. DetailXPerts got it out! The extra added bonuses are the ventilation steam clean and the miserly water usage to get the entire job done. Hard not to be excited about something like that, given our ongoing drought conditions! Thanks, Joe and team, for making this such a great experience. I needed a detail for my car. So via Yelp I called Joe at DetailXPerts around noon but he wasn't able to pick up. However, he got back to me a couple hours later after finishing up a clients car. He was very professional over the phone which was great. He told me he can do my car that same day. Asked me where I lived and what make and model vehicle I own. He gave me an ETA, how long the job will take and what kinds of services he offers. He is very informative and knowledgeable about his work. Very accommodating to questions and concerns I had. Asked me specific questions regarding whether I wanted this finish or that coating for my car. So I can tell he is very dedicated in the work he provides. He took the time to walk through the car with me so I can point out areas I wanted him to focus on and he was very accommodating and patient. 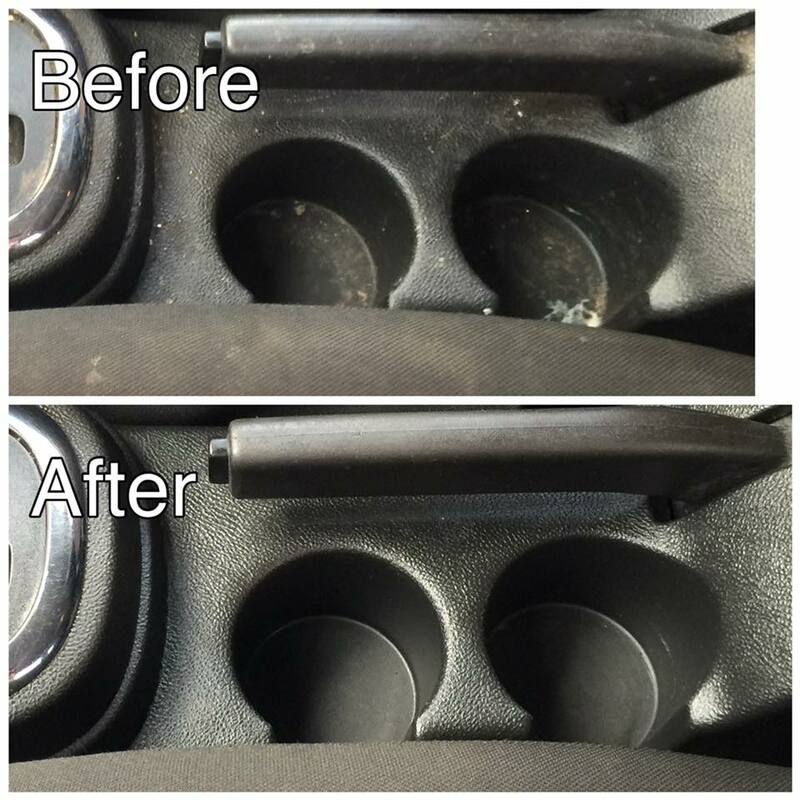 I had a dried up stain in my trunk which he did a fantastic job removing. 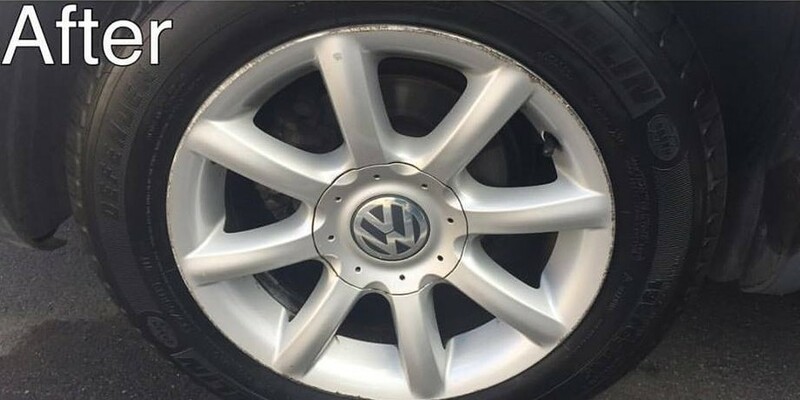 Now it looks brand new. He steam washed the inside and outside of my car. 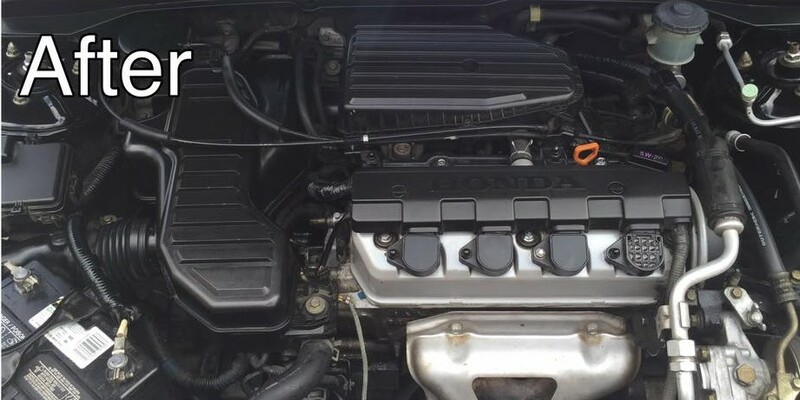 I had him add the engine bay for a fair price. He also gave complimentary leather conditioning for my seats. Took him about 2 1/2 hours to do. He called me when he was about to finish so I can walk around the car and point out any concerns I had, which there were a few. However, he was very willing to tackle those areas. The finished product was fantastic. Nothing bad I can say about this work. He did clip my windshield wipers a bit. The wipers were up and he wanted to show me the engine bay. He lifted the hook up while the wipers were will erect so he scratched the surface of my wipers. That's the only thing I was bumped about. He didn't damaged the functions of the wipers so that was good. Just need to pay attention next time for those little things. And I get that it happens. No big deal. Other than that, like I said the work and the dedication and willingness to provide an excellent finished product is all there. Would recommend and definitely have him work on my car again. Thanks, Joe! Just got my car done ... WOW, what a great job and he even cleaned the inside of my side compartments ... Great guy and great service. Absolutely fantastic job. I couldn't ask for anything more from these guys. They went so far above the norm to deliver an excellent service. I had a bag of trash with diapers, chicken, and other household trash left in my trunk for three weeks during the most hot weeks all summer ... The smell was off the charts. However, after many frustrating hours of trying other, so called pros these guys delivered. They took extra time and even did some extra things I asked them to do. They were there just on time and gave me a heads up when they were going to be there. They also gave me a great deal and took no short cuts. I would absolute recommend them and will be back. 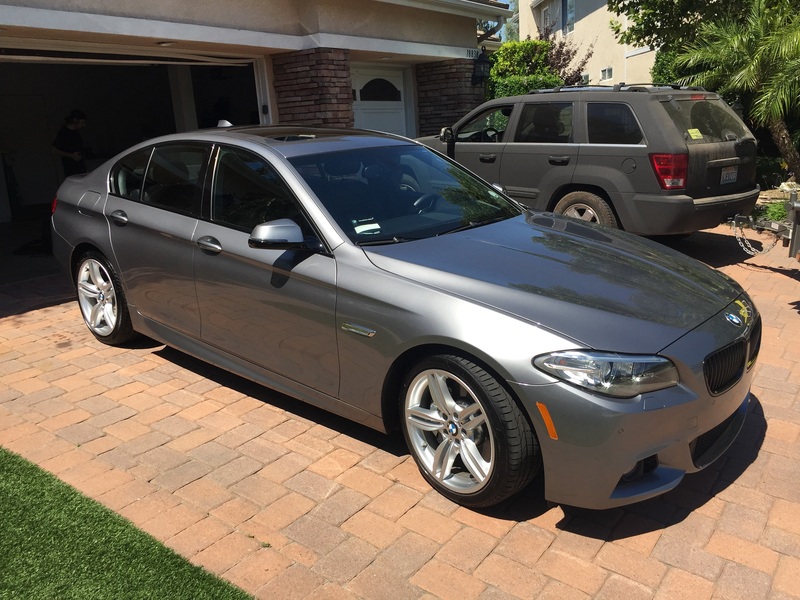 Joe did a great job detailing my BMW inside and out. My car was in bad need of a good detail. 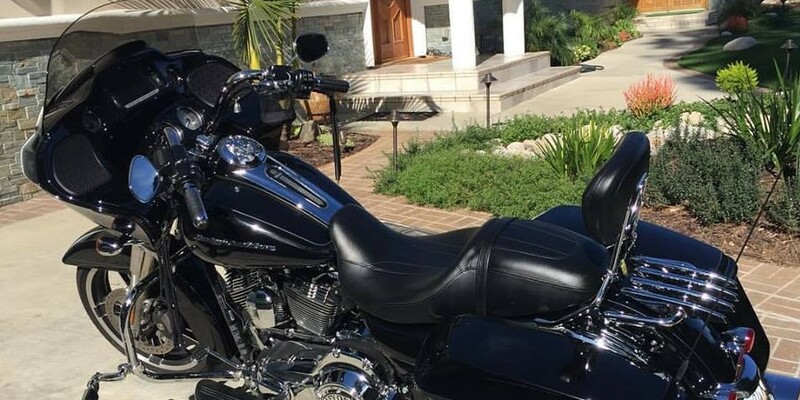 Joe takes his time and provided a quality job, so you will need to allow for around 4 hours depending on your car type, which he is upfront about. The service is basically water-less, which is good thing. The price was competitive with other companies and worth it. Joe was on time for the appointment and communicated to me during the service with any questions and observations he had. Thanks, Joe! What's in a name? In this case, everything! Joe and Nick were EXPERTS at DETAILING my wife's Explorer. Joe did a great job of explaining what he was going to do and how much it would cost and then he did exactly what he said he would do. He was even able to nearly remove a door ding that I didn't expect he would be able to. 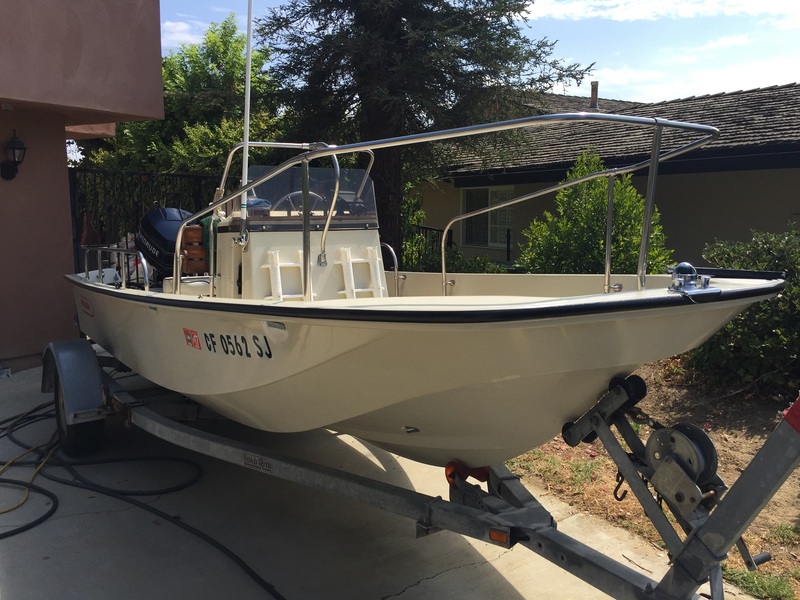 They worked in a professional manner with quality equipment and left us with an impression that will cause us to use his service again and again. Great job! I was looking to get my car detailed, it had been sometime since the last time I got it cleaned inside and out. 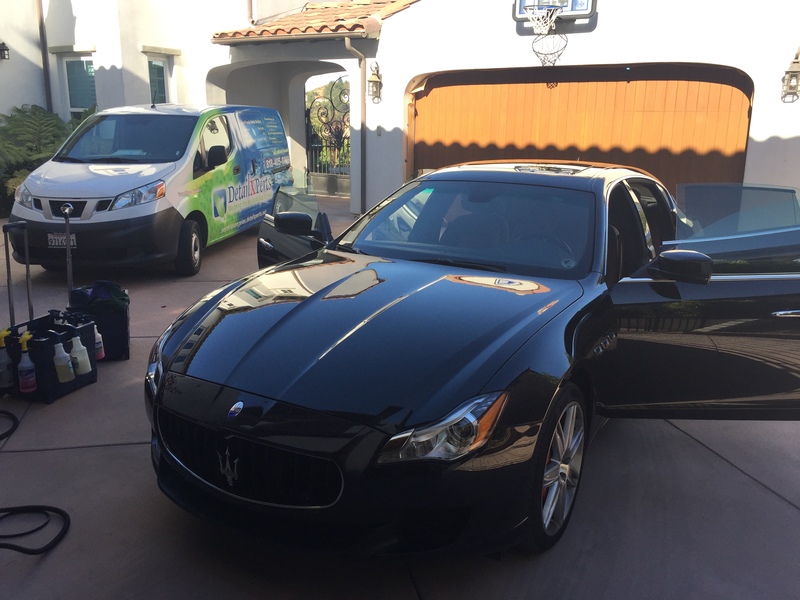 I called DetailXPerts because I was intrigued by their steam cleaning and no water waste. Joe answered and was very helpful at explaining the product and break down of different prices. He came out early Sunday morning and spent 3 hours perfecting my car on what was supposed to be an hour and a half job. 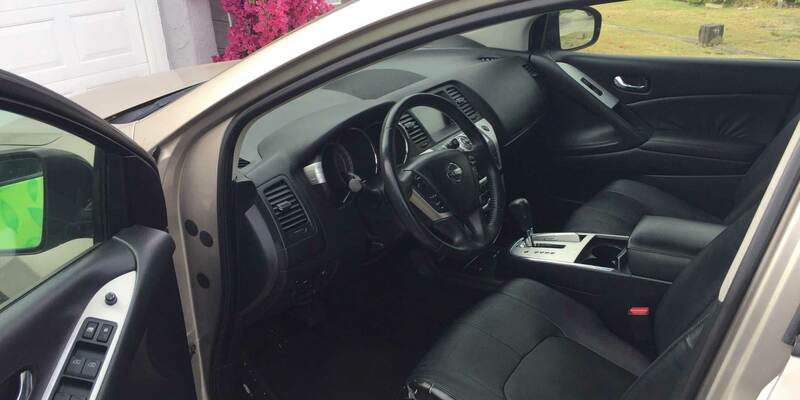 He took extra time to clean my seats and mats which were covered in pet hair, and took extra time going beyond what was discussed for my detail package to make sure the car was perfect. I really appreciated his friendly service and attention to detail. 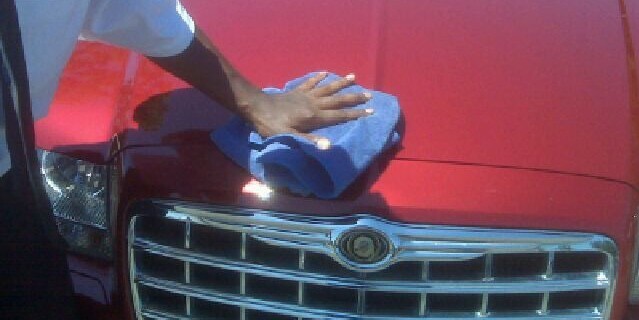 When he was done he asked me to take a look at the car and let him know if I wanted anything else cleaned. I would definitely be calling him again and recommending to friends and family. 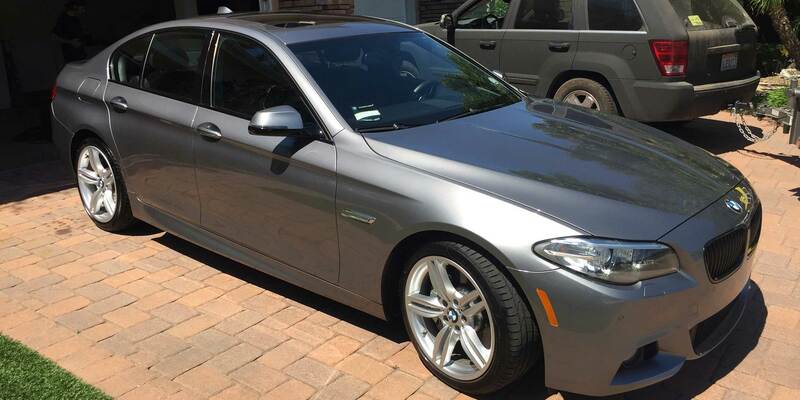 My car looks great, the price is on point, and I do not feel guilty about wasting water. 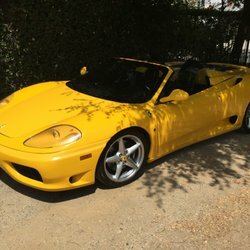 What an amazing experience at DetailXPerts. The crew was friendly and professional. 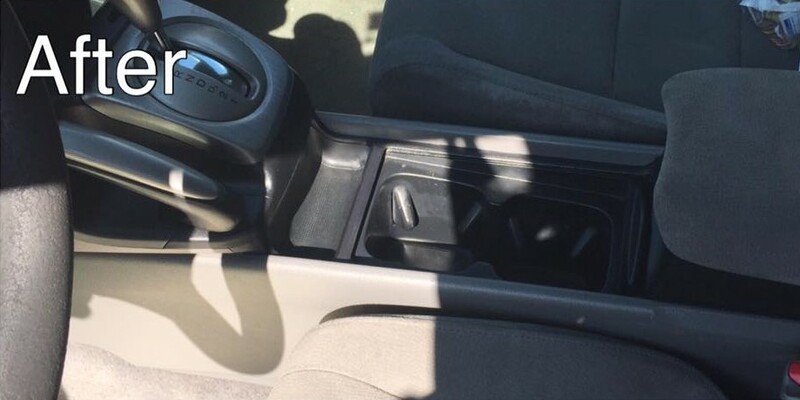 They were able to make a very bad interior look new. I was amazed at the environmentally friendly process and effectiveness of the steam cleaning. I have never even heard of steam cleaning for cars. So, when I heard about the friends & family demo, I signed up right away. I am so glad that I did! 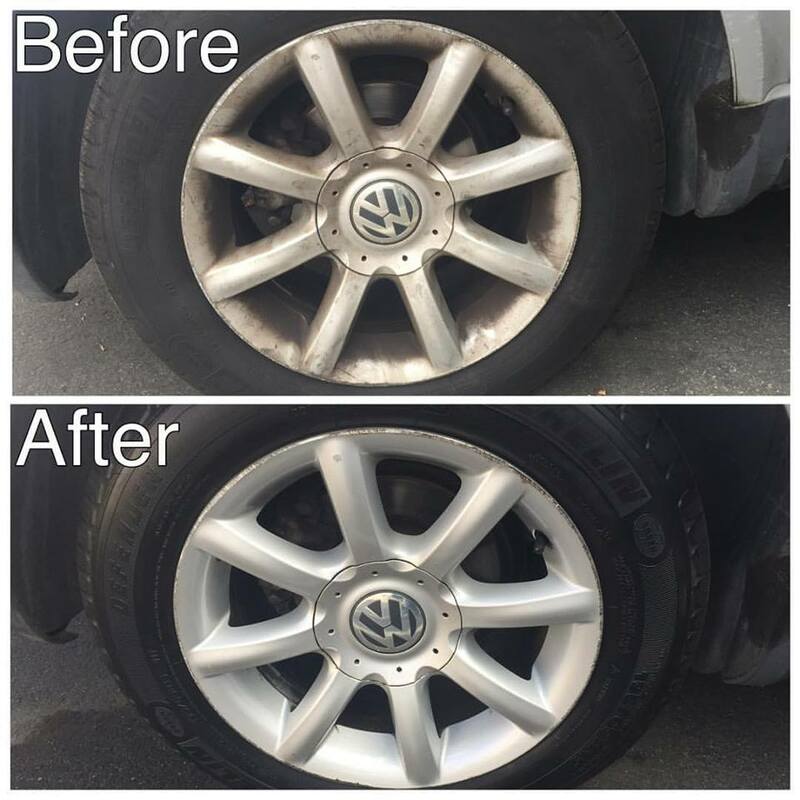 My husband and I were given a demo of how nice the steam cleaning can leave our car and we are very impressed. They made the exterior of my vehicle look better than when we drove it off the lot! 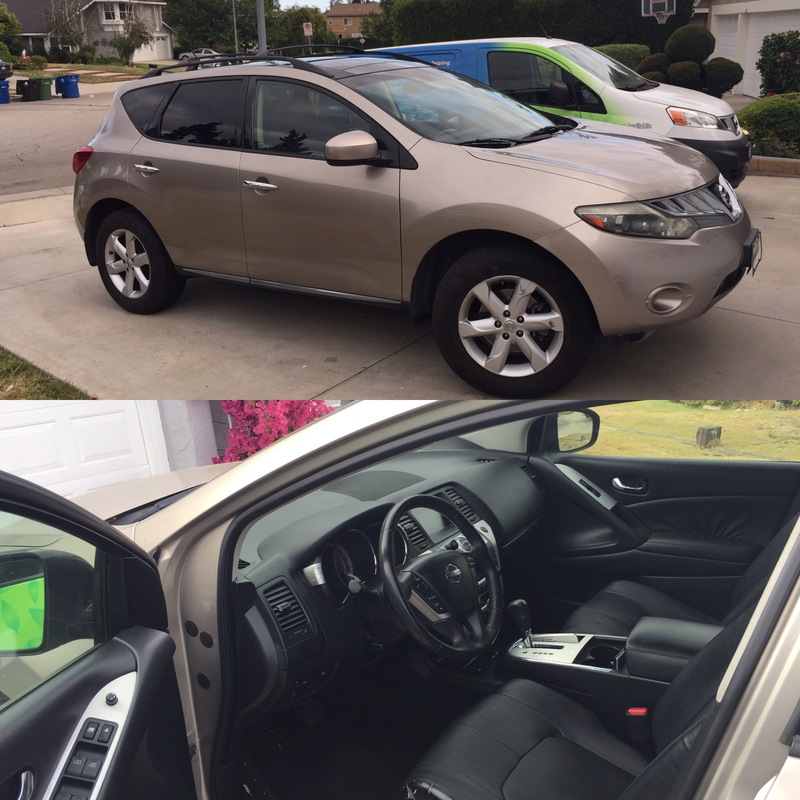 (I chose an exterior clean, only, as my car is new and the interior is still pristine). I got to see the process, from start to finish as it was astounding that they literally used less water than my bottle of water. 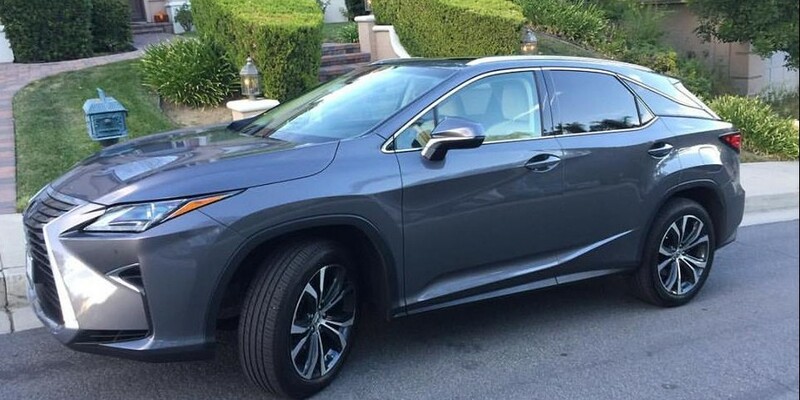 What was nice is unlike drive-thru car washes- there weren't brushes that scratch the paint or left my windows full of water and I can't roll them down until the next day- it was literally shiny, clean and dry right away. I've been getting compliments from people at work & church since. I would definitely recommend them. The guys were so professional and meticulous about every stain and smudge. Edgar was so high energy, he was jumping from one part to the next and hyper focused on making my car look perfect! This is the best car cleaning I've ever had and honestly everything else pales in comparison. Just had my car steam cleaned, inside and out. I must say it turned out beautiful. They did it while I was working. They have a temporary site set up at The Calabasas Commons. It turned out cleaner then a regular car wash. It's a must try. Fantastic service! We have a shedding yellow lab and a 2 year old kid. Our car looked and smelled funky. 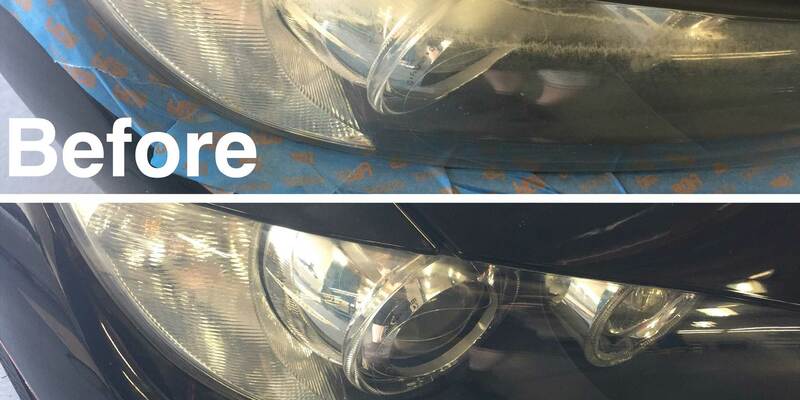 Joe was super thorough and now our car looks and smells brand new! Joe is the funk remover! While out shopping, I noticed a professional looking guy detailing a car under a canopy in the parking lot. My car was in dire need of detailing, so I watched for a while. He stopped what he was doing and asked if I had a moment ... I did, and he proceeded to tell me all about DetailXPerts. I took a flyer and a year later, found it buried on my home desk. I called and made an appointment. I loved the idea that DetailXPerts provided door to door service. Joe was right on time, professional and very pleasant and did an awesome job. Sooo happy I decided to straighten the mess on my desk. After learning about this service, I called and scheduled an appointment. 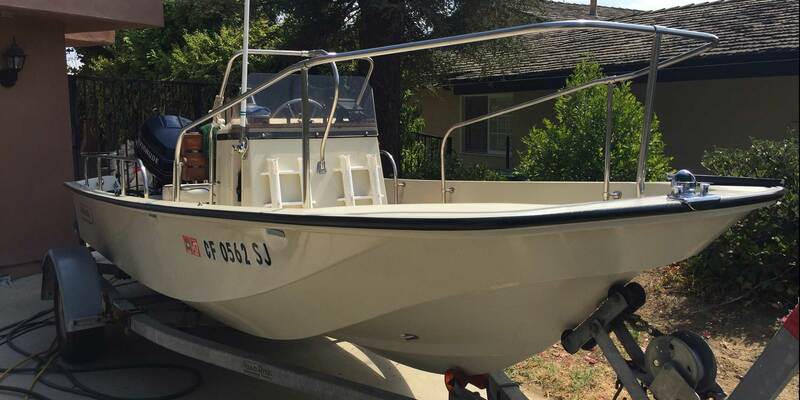 Joe is professional, courteous and offers customers excellent attention to detail. We are quite pleased with how the car looks inside and out. 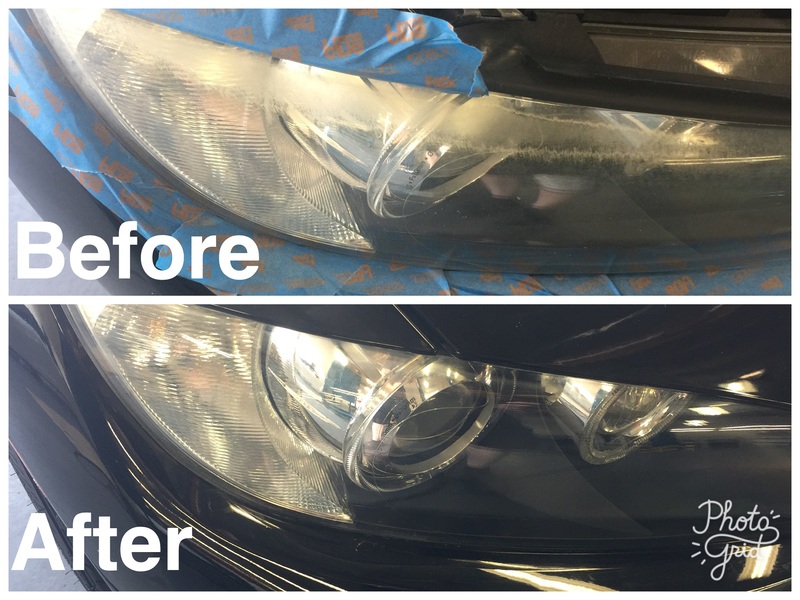 I will gladly recommend Joe and DetailXPerts to others. Great job and great service ... Very impressed with his work. My car has been detailed and cleaned in the past, but definitely has never looked like this. Its amazing. I can't wait to recommend this place to friends, family & strangers !!! Way to go, guys! 10+ Service ... My car is sparkling clean. Thank you, Joe! The experience was great. Friendly and best of all eco friendly. Thumbs up. I would recommend. They did such an excellent job! My car looked better than when I got it from the dealership. They were friendly and very helpful. Definitely recommend them. My car looks and smells brand new!!!! She looked like she did in the show room when we first met! Still can't believe that it was all accomplished without water and what SEEMINGLY looked like little effort. Way to go, DetailXPerts! Just had a great car detail at my house. Very convenient, polite and talented technicians. My car looks great. Thank you, Joe and your crew! Joe did a fantastic job on my Jeep Liberty. I'm bringing both my other cars soon!